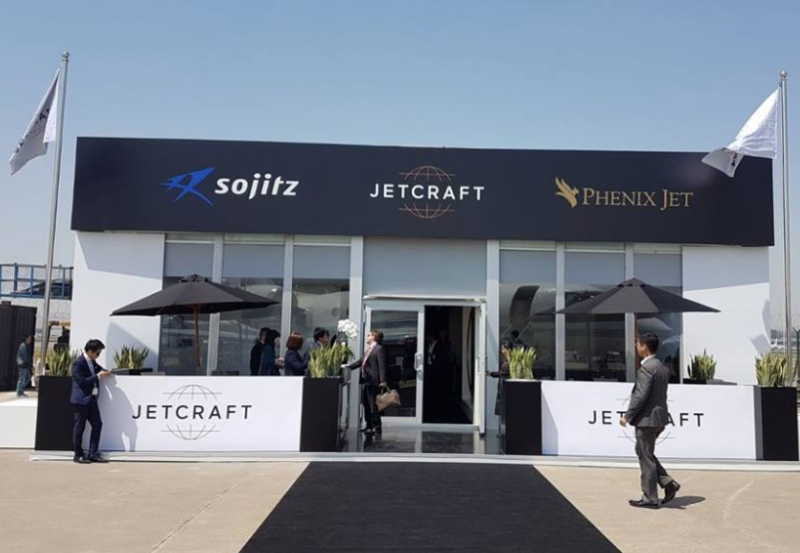 Airshow pavilion design for Jetcraft at ABACE 2018 in Shanghai. 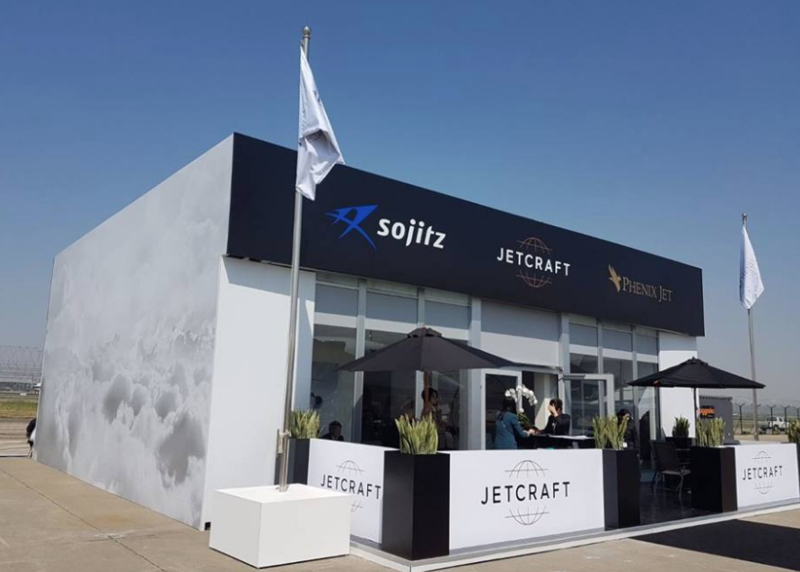 Long-term client Jetcraft exhibits at a number of key airshows around the globe. 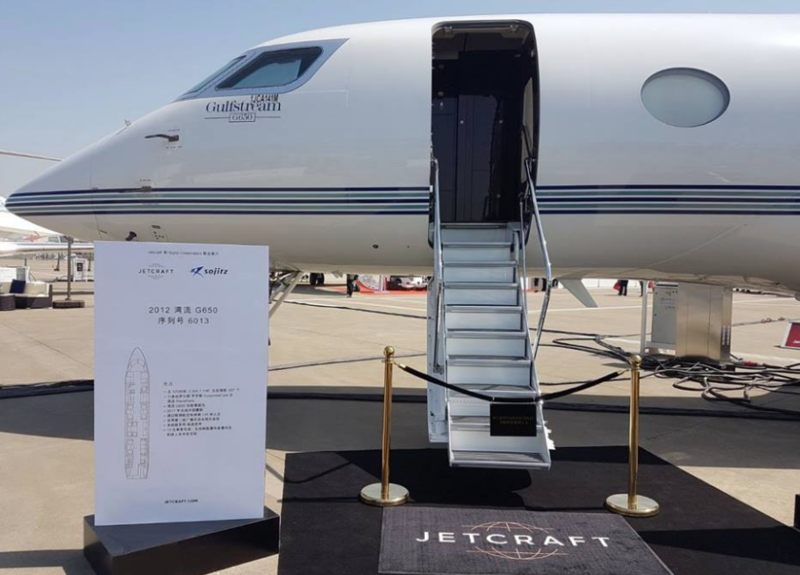 As well as having a number of business jets on static display, the company takes a hospitality pavilion which we design. These are fitted out by a local contractor with Jetcraft brand elements including the black and white cloud photographs, copper fittings and accessories and finished off with cacti or succulent plants that make up the interior scheme developed for these opportunities. Sometimes the airshow pavilion is joint branded with touch-points that include local strategic partners. We usually have to also develop spec boards for the aircraft on static display at these airshows, where disciplined information design is essential in order that the salient features and benefits of the aircraft types and models on display can be presented clearly to the airshow visitor. It is not too late to take advantage of the 1st time exhibitor offers at EBACE or FIA. There are still limited availabilities at both.